When snow blankets the Vail Golf Club, it becomes the full-service Vail Nordic Center. Glide along 17 kilometers of daily-groomed skate and classic track, or snowshoe on 10 kilometers of trail. The shop offers rentals, lessons and clinics on technique and tuning for adults and children. 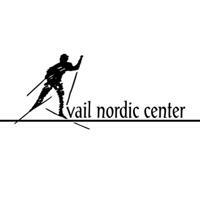 The Nordic Center also serves as one-stop shopping for backcountry needs including clothing, backpacks and snowshoes. An evening race series as well as larger weekend events offer opportunities for competition.